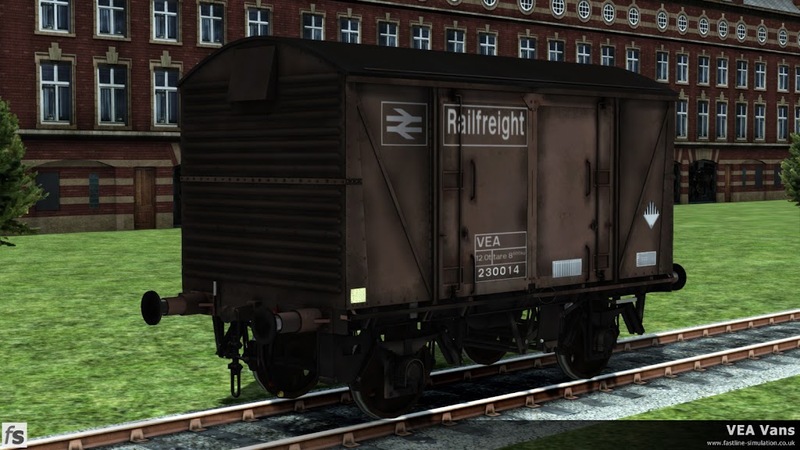 As longer wheelbase air braked vans were introduced it became apparent that there were some traffics that they were not suitable for. 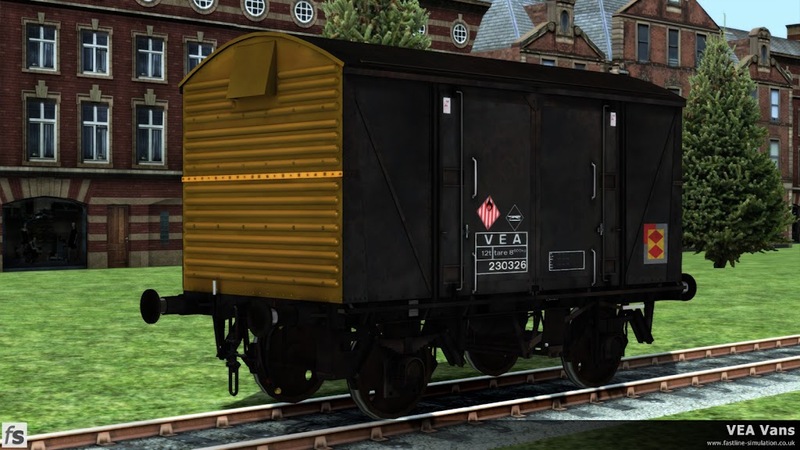 One such commodity was government stores from munitions factories to MoD depots which had a number of tight curves and clearances that were more suited to the traditional short wheelbase vans that had seen use for most of the previous century in one form or another. 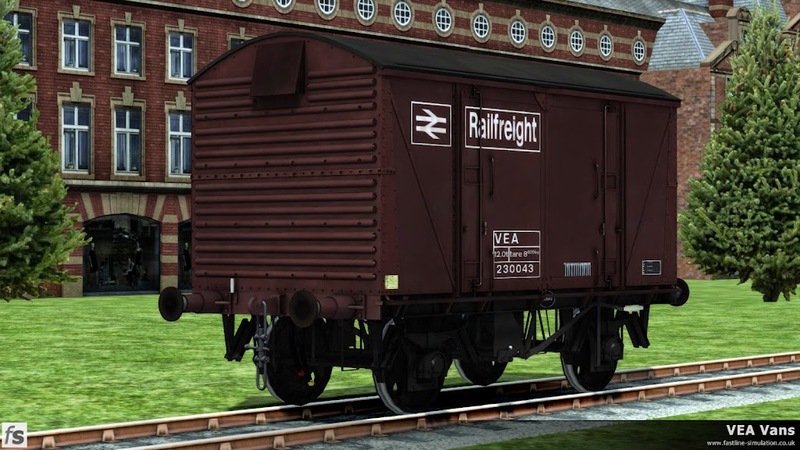 The issue was further compounded by the requirements to introduce a modern air braked wagon fleet and all the suitable wagons were vacuum braked! 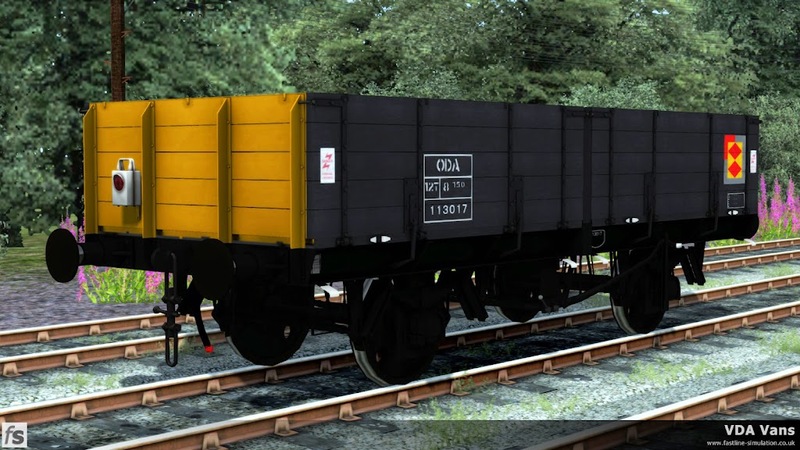 The solution to this problem was in the late 1970's and early 1980's to convert 550 Vanwides to air brakes complete with new running gear to enable them to be used in modern Speedlink trains and still safely access the restricted locations required. 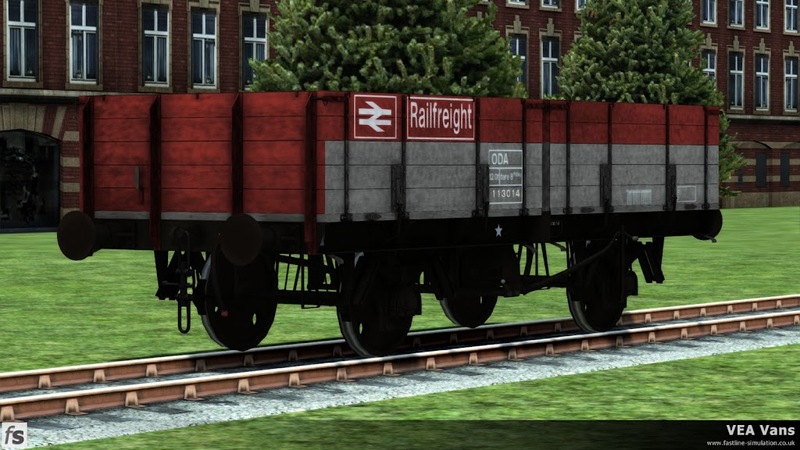 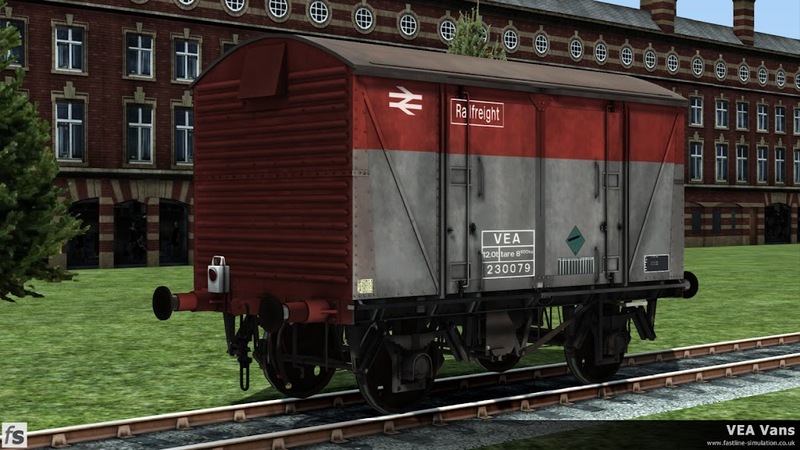 This expansion for Train Simulator includes the VEA vans in the three liveries they wore during their careers, Railfreight Maroon, Railfreight flame red and grey and Railfreight Distribution sector livery. 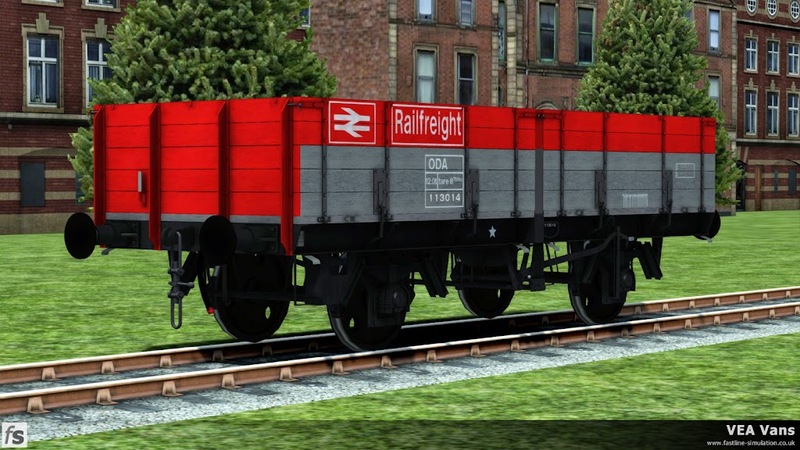 This is further enhanced by the bonus inclusion of ODA open wagons in Railfreight flame red and grey livery and the unique wagon carrying Railfreight Distribution livery. 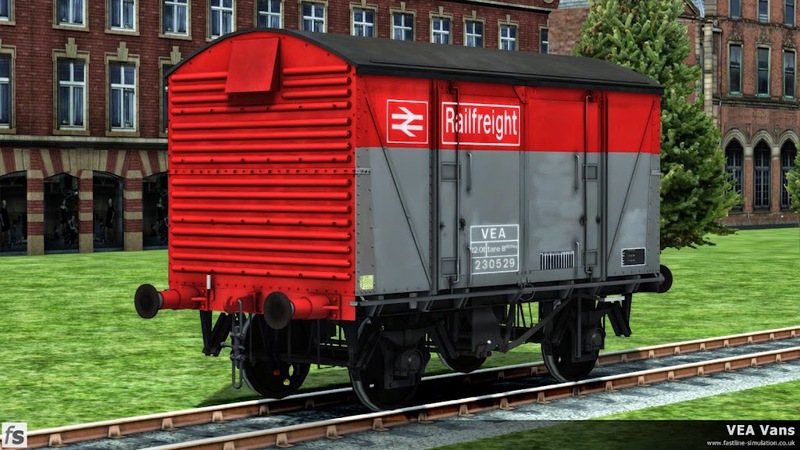 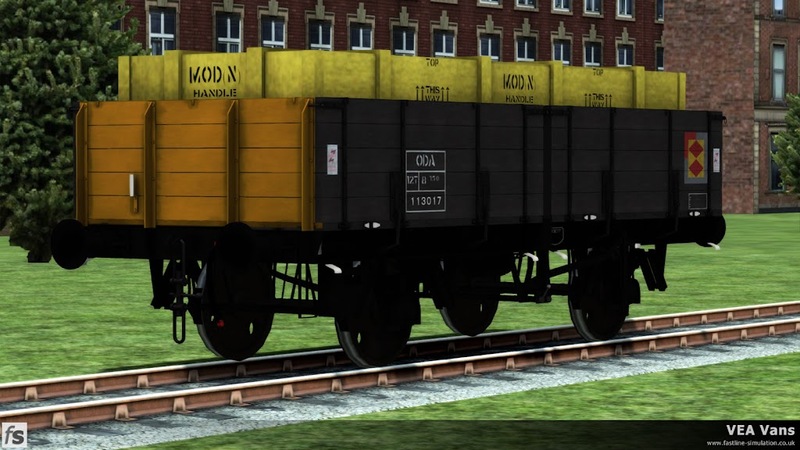 Like any Fastline Simulation Train Simulator stock pack expansion these liveries are mixed up with clean and dirty variation, varied load simulating physics and rear versions complete with tail lamp. 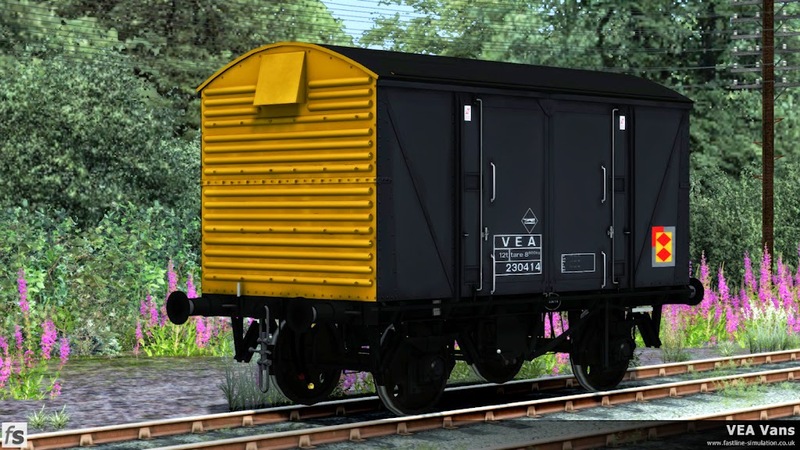 Three scenarios are included for the WCML Over Shap route as this was a common stretch of track for the VEA vans to be seen in Speedlink services.